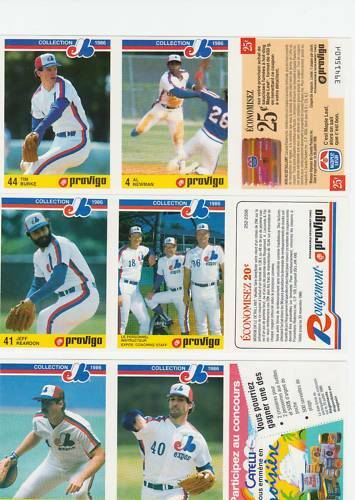 Complete set of 28 1986 Montreal Expos cards (14 panels each containing 2 cards plus 1 coupon or promotional cards) including stars Andre Dawson, Andres Galarraga, Tim Raines and 25 more. One panel has rubber band residue (on the Hubie Brooks card), otherwise the set is MINT. ONLY ONE SET AVAILABLE FOR SALE.